I’m not so great with movies. There was a time in my life where I just couldn’t finish watching anything. It wasn’t because I didn’t like whatever was on, but I would just shamelessly fall asleep half way through any movie I tried to watch, even at the cinema. No movie was safe. But you know what’s funny though, I would always wake up just in time to catch the credits rolling and people would have no idea that I had just missed 3/4 of that movie. I’d like to take this time to extend my most sincere apologies. Sorry #IWasABadDate #NotAnymore. 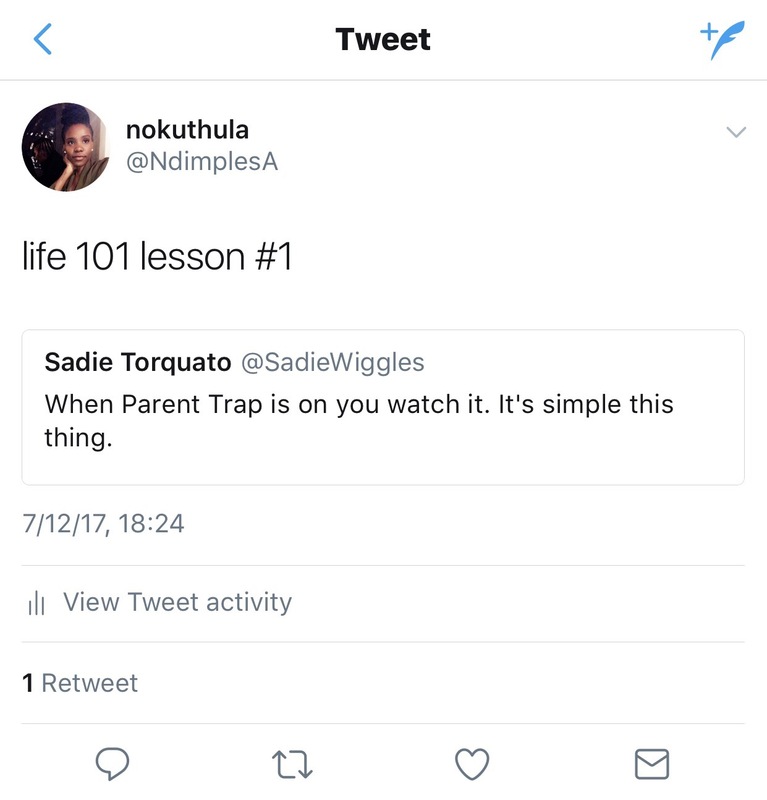 The only movie that was safe, that I actually watched from start to finish, and repeatedly still do and will continue to, till forever is The Parent Trap. Lindsay Lohan was everything in that movie. I couldn’t hack how she managed to play both characters! 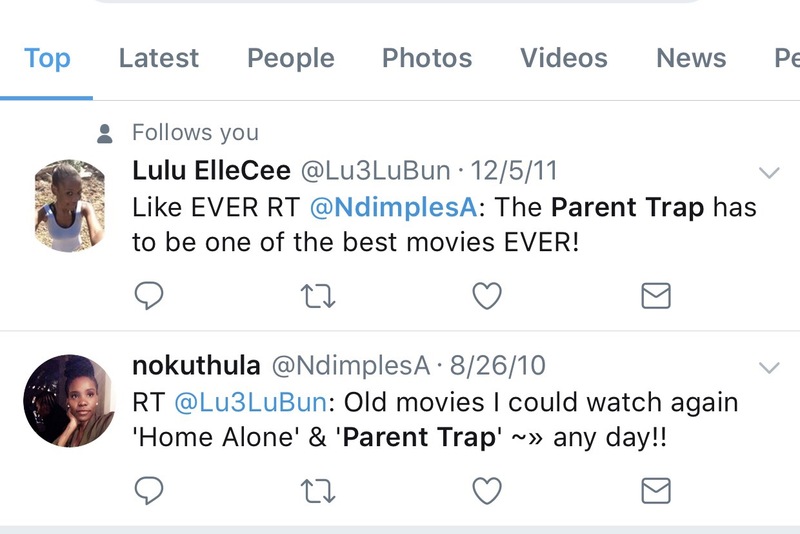 The Parent Trap came out in 1998, I was 8. I’m (basically) 27 now and that’s easily still my favourite movie. It’s one of those (for me) feel good, can’t get bored watching it, know close to all the lines movies. It also made me want a twin. So there’s that. I’m sure I’ll be making my kids watch it frequently too. That, Mary Poppins, Princess Diaries and The Sound of Music, for sure. I thought I’d leave you with some bit of proof! Oh my God! Matilda too, yes!